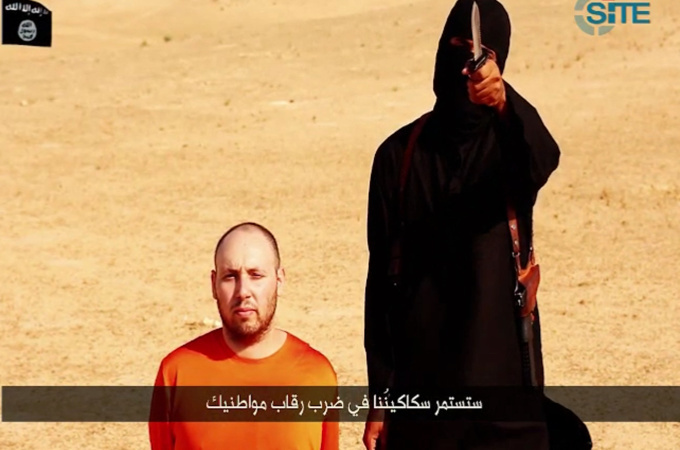 The beheading of journalist Steven Sotloff “tarnishes the image of Islam and Muslims,” Egyptian Dar al-Ifta stated Wednesday. The United States government confirmed early Wednesday that the leaked video showing the slaying of a second American journalist by the Islamic State is authentic, through the U.S. National Security Council on Twitter. Sotloff, a 31-year-old freelancer who was abducted in 2013 in Syria, was murdered two weeks following the beheading of journalist James Foley Aug. 19. Sotloff also held Israeli citizenship, Israeli deputy spokesperson for the Foreign Ministry Paul Hirschson confirmed Wednesday on Twitter. IS has a reputation for publishing videos of murdering captives, which has recently been replicated by Ansar Bayt al-Maqdis, a Sinai jihadist group in Egypt, in a recent video on Aug. 28 showing beheading of four Bedouins it claimed they had spied for Israel. 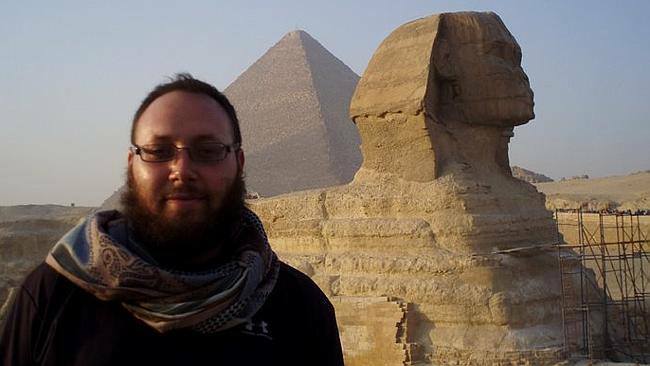 Sotloff is pictured while visiting Egypt before being captured in Syria. “Whatever these murderers think they’ll achieve by killing innocent Americans like Steven, they have already failed,” Obama said in a press conference Wednesday morning. In the video showing the beheading, called “A second Message to America”, U.S. President Obama was criticized twice for his recent air strikes on Iraq; one time by captive Sotloff and another by the executor. “Obama, your foreign policy of intervention in Iraq was supposed to be for the preservation of American lives and interests, so why is it that I am paying the price of your interference with my life. 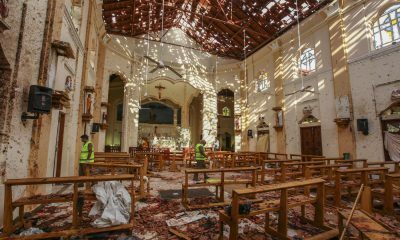 Am I not an American citizen?” said a transcript of the video, believed to have been first published by the International Terrorist Entities (SITE) Institute; a private watchdog group tracking online activity of terrorist organizations. A masked man with British accent, who is believed to be the same who executed Foley, warned of more killing of Americans as U.S. missiles continue to strike IS. “I’m back, Obama, and I’m back because of your arrogant foreign policy towards the Islamic State, because of your insistence on continuing your bombings and [unclear] on Mosul Dam, despite our serious warnings,” the masked man said. 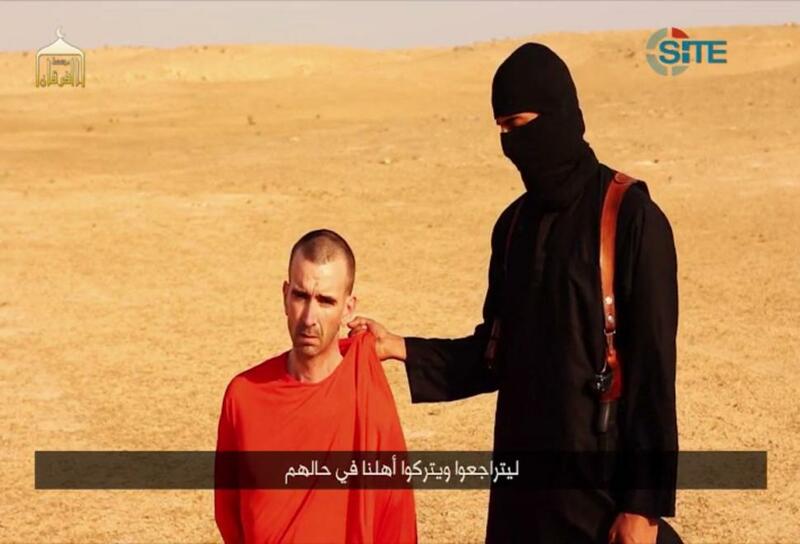 ISIS warned in a video that David Cawthorne Haines (left) would be beheaded. Also, he warned that a British man, identified as David Cawthorne Haines, would be the next killed in response to U.S air strikes. In response to this announcement, British Prime Minister David Cameron chaired an emergency meeting. In the two leaked videos, Sotloff and Foley were both were sitting on their knees and dressed in orange, a prison suit that likens those dressed by the Guantanamo inmates. After the second beheading video went viral on social media Tuesday, statements claimed to be released by the Islamic State said that the video was accidently leaked and it was not scheduled to be released when it was. The Al-I’tisam Media Foundation, an IS-affiliated group, apologized in a missive message, saying that the now suspended “Uyun al-Ummah” twitter account [@AlBttar88] mistakenly published a video of the IS beheading of U.S journalist Steven Sotloff before it was to be officially published. “A twitter user [@Khattabyaz] saw a mention [by @AlBttar88] with the video and thought it was officially published,” read a message published on Justpaste.it website Tuesday. When the administration knew the video was not official, it removed it and apologized to followers and “brothers” in Islamic State, added the message.